Gravitational redshift and Doppler effect of light. The Physics experiment of Pound and Rebka in 1960 on gravitational redshift. Cosmological redshift and Doppler effect. Gravitational redshift, Doppler effect of light and cosmological redshift due to the expansion of the universe make up a group of three different redshifts, which are often confused because they cause similar changes in the frequency of electromagnetic waves. As we have seen before, the Law of Global Gravity incorporates in a mathematical formula the Merlin effect, or second component of atractis causa, on both mass motion and electromagnetic energy propagation; explaining, respectively, the anomalous precession of planet orbits and light curve due to gravitational lenses. We also know that the Law of Global Gravity applies not only to planet orbits but also to movement of bodies with mass in vertical free fall towards the gravitational attraction center. Likewise, it will apply to light when it goes directly towards a planet or star. Nevertheless, there is a problem, speed of light depends on its peculiar characteristics –as mentioned in the book Global Mechanics–, and gravitational energy transfer will imply an increase in electromagnetic energy frequency instead of a rise in its speed. 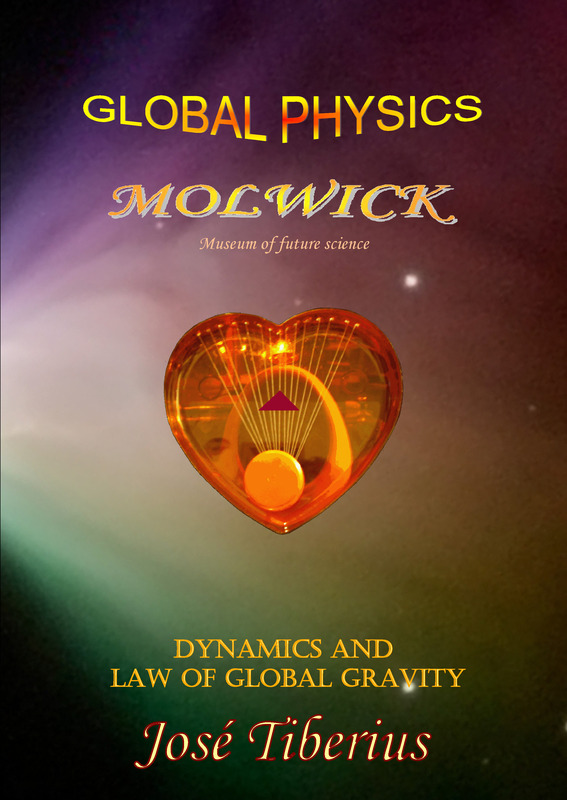 We must take into account that the Law of Global Gravity reflects a particular approach to the fundamental law of Global Physics or Gravitational Law of Equivalence. 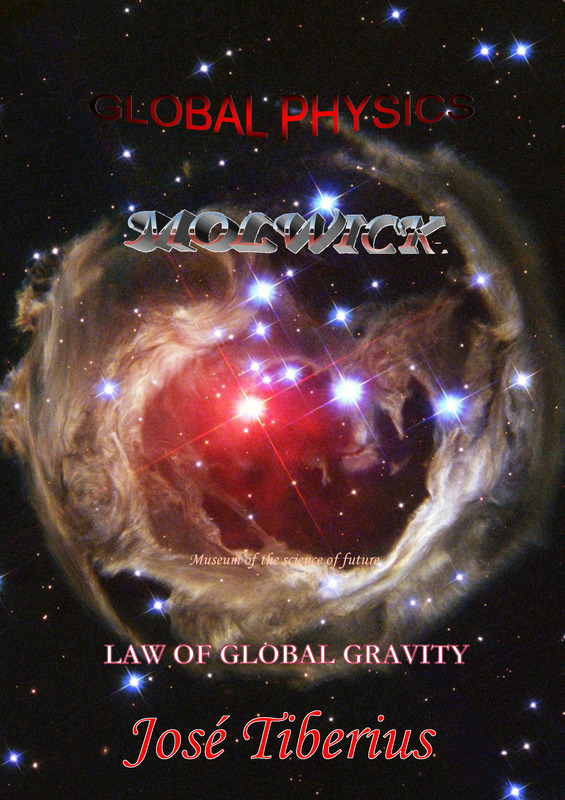 In gravitational lensing effect, the Law of Global Gravity resolves the light curvature; although it does not mean that a little increase in electromagnetic energy cannot take place. Einstein propounded this natural phenomenon within his Theory of General Relativity. The physical experiment proving gravitational redshift is Pound, and Rebka was in 1960. They measured the red and blue shift in a proportion 2.46 * 10-15 of a gamma radiation emitted from the ground or the tower top (h = height = 22.6 meters) and observed from the top of the ground, respectively. Let see now an accessible explanation of gravitational red or blue shift without expanding time or bending space, and not only with an alternative theory of Einstein’s relativity but with even more options. Let us remind Global Physics accepts as correct mass increase due to velocity respect its natural reference system, which is Global Aether or material support for gravity field, kinetic energy, and the mass. Also, gravity field is supporting medium for electromagnetic energy or luminiferous aether. Even though variations in the intensity of gravity field affect the speed of light, it will have minimal effect on it. Calculus of gravitational redshift does not take into consideration several secondary quantitative effects to explain Pound, and Rebka’s physical experiment. The principle of Energy Conservation states that energy difference will compensate. Accordingly, Principle of Global Conservation just explicitly extends the idea to gravity when proposing the mass-energy-gravity equivalence. Therefore, energy gained by a photon when it moves from the tower top to the ground must be equal to energy provided by a gravitational field. We can evaluate the proportional change in energy of electromagnetic waves in several ways. Besides, as we know that energy of electromagnetic waves is equal to Plank constant multiplied by its frequency (E = h v), it will give us necessary percentage change in frequency to absorb energy gained in the free fall. However, by taking into consideration that speed of light –electromagnetic energy– is equal to its frequency multiplied by wavelength (c = λv), we will obtain the wavelength and verify if it coincides with the obtained records. In the table appear known and any other necessary data –equivalent mass– to make pertinent calculus. As we will see below, we can explain gravitational redshift in several ways. However, that does not mean all of them are correct. For example, the way by which c is increased to evaluate total wavelength rise and, with its proportional increase, achieve the correct result does not prove that a speed higher than c exists. Likewise, the fact that proportional velocity increment can mathematically explain same energy increase relation does not guarantee that increase above in speed of light is possible. The three explanations revealing the process-taking place are those expressing the energy transfer produced. They mean an increase in light frequency due to its nature, with its corresponding gravitational blue shift when it moves towards the center of the gravitational field, and a decrease in its frequency with a gravitational redshift of the wavelength when it moves away from it. This physical effect is the same as a light curve or gravitational lensing effect of the stars. The only difference between them is the spatial orientation of movement of light. If it goes towards the star or planet, would be blue shift or redshift when it moves away. If it is tangential, it would be a light curve. The fact that temporal expansions and space curvatures can explain natural phenomena of precession of Mercury’s orbit, light curve, and red and blue shifts do not imply they necessarily occur. Mainly, because, it seems a little arbitrary that a temporal expansion, in one case, and a space curvature, in the other, may occur in Einstein’s Relativistic Mechanics. Energy will be variable or relative if we accept speed of light remains constant in its natural reference system, and we change time definition, to make it independent of the cesium atom energy. Nevertheless, there will also be a change in speed of light due to changes in conditions of its medium support. Overall, gravitational redshift is due to a gravitational process of energy transmission; in other words, there is no need to stretch or expand time and space. Doppler effect of light or relativistic Doppler effect differs from Doppler effect of mechanical waves, such as sound waves. With Global Physics it should change its name to Global Doppler effect because it will have a mechanical nature again without relativity of time and space. Due to the current relativistic paradigm, Doppler effect of light calculus needs to make time relative time or representing the absorption of a photon against a body with relative movement with a higher speed than *c* or, otherwise, lower. Doppler effect of light, as all gravitational processes, should maintain energy equivalence of electromagnetic waves when they begin, during their motion –at a constant speed in certain conditions– and at their final reception. Likewise, argumentation is similar to gravitational redshift, although specific details are different and, maybe, more complex because in relativistic Doppler effect intervene more energy effects. Not only there may be changes in velocity but also in its supporting medium or luminiferous aether and its relation with Global Aether. There is an essential difference between relativistic Doppler effect and same effect in Global Physics. For the second one, an energy effect will occur on the moving body regarding its natural reference system. If the emitting body is in motion, its velocity implies a frequency of the corresponding atomic orbital of a higher emission that if it is at rest. Therefore, the wave will have a higher frequency due to this energy effect, independently of the sending direction, which will have its own effect. Regarding real velocity of emission and similar impact to Doppler effect of sound –that is why it adopts its name– the Theory of Relativity cannot accept speeds of light different from *c*, even for this obvious cases. Doppler effect of light, when the object in motion is the receiver, does not imply the wave had a higher frequency; the wave had its frequency independently from the receiver. The possible effect would be energy impact is higher if Galilean relative velocity is bigger than *c* and lower otherwise. We would say a similar effect happens in a typical impact when someone is running down the street. As previously seen in the section about gravitational redshift, we can quantify these processes in many ways, some are more real and others more imaginary and artificial. The three gravitational processes regarding the redshift usually take place in the propagation of electromagnetic waves. Firstly, relativistic Doppler effect of light, because the emitting star is usually in motion; secondly, gravitational redshift when it moves away from the gravitational field of the said star. On the other hand, when receiving the wave, opposite effects will take place, blue shift as it approaches the Earth, and red or blue shift according to Earth’s movement. The third gravitational process, which is not yet fully explained, is a different redshift as it is independent of two previous ones, it is the cosmological shift. We do not know its causes. Maybe it has something to do with longitudinal tension of Global Aether –reticular structure of matter and its expansion or expansion of the universe–, or the tension of longitudinal curvature that causes the force of gravity, or with both. The cosmological shift could relate to dark energy or dark matter. Book Global Astrophysics and Cosmology study these dark subjects.